. (1389). A Question and Answer Session on the Meaning of Being Human , with Dr. Gholamreza Aavani. دوفصلنامه جاویدان خرد, 06(11), 5-23.
. "A Question and Answer Session on the Meaning of Being Human , with Dr. Gholamreza Aavani". 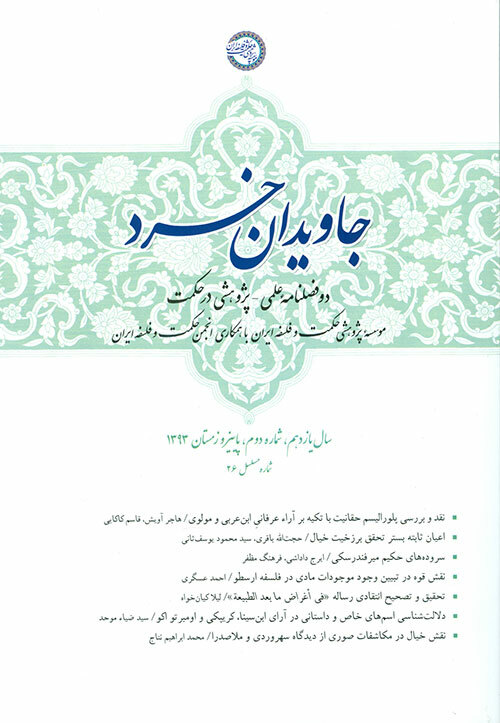 دوفصلنامه جاویدان خرد, 06, 11, 1389, 5-23.
. (1389). 'A Question and Answer Session on the Meaning of Being Human , with Dr. Gholamreza Aavani', دوفصلنامه جاویدان خرد, 06(11), pp. 5-23.
. A Question and Answer Session on the Meaning of Being Human , with Dr. Gholamreza Aavani. دوفصلنامه جاویدان خرد, 1389; 06(11): 5-23.